Message of His Excellency Most Reverend Socrates B. Viilegas, Archbishop of Lingayen Dagupan for the people of God to be read as homily during the Easter Sunday Masses in the Archdiocese of Lingayen Dagupan. It is Easter. We celebrate the greatest mystery of our faith—the words of loveat the Last Supper Holy Thursday led to the act of love at Calvary on Good Friday which led us to the triumph of love at the empty tomb today Easter Sunday. The WORD of Holy Thursday and the DEATH of Good Friday plus the RESURRECTION on Easter morning together make up a whole. It is what our Holy Father Benedict XVI calls the trinity of the paschal mystery. The paschal mystery is at the heart of our Christian faith. Believing the paschal mystery and living the paschal mystery is what the Church is all about. Without the paschal mystery, all our prayers, projects and teachings become meaningless and unprofitable. But the crucial question is: Is there really and effective and dynamic link between our mission and our ministries and the paschal mystery? Is the paschal mystery truly the wellspring and inspiration of the projects and activities of our Catholic community in the Archdiocese of Lingayen Dagupan? Do we posses, or better still, are we possessed by a spirituality of the paschal mystery? As your pastor, I have been trying my best to listen to you by visiting you in the parishes, schools and barangays. I have met many of you through our church seminars, recollections and social gatherings. As I listen to you, I also listen to God and pray to Cialis mexican pharmacy online meds Cialis Cialis prices cvs Cialis online without prescription Cialis online sales Cialis tadalafil cheapest online; buy Cialis generic God to help me guide you. From my conversations with God and with you, I wish to present for your reflection a possible statement of vision that we can follow in the Archdiocese of Lingayen Dagupan especially in the context of the Easter season. ICTHUS in early Christian tradition was an acrostic referring to Jesus Christ, God’ Son, Savior. ΙΧΘΥΣ is Greek word for fish. For the early Christians, to say ICTHUS was to endanger themselves. It was to risk being killed by the emperor. Much more than a declaration that Jesus is Son of God and Savior, ICTHUS was a declaration of commitment to live one’s life as a follower of Christ, crucified and risen. Let us spell the letters of the word ICTHUS. I is for Integration of faith and life. It is important that we live what we profess. The world does not listen to speakers anymore but to witnesses. Integrity of life is the opposite of split level Christianity. Integrity is wholeness. Integrity is the new name of holiness. The values of the Gospel must be allowed to transform society. We must evangelize politics, culture, economics and all aspects of human life. If we seek integrity from our public officials, we must first live integrity as Church people. C is for Catechesis, evangelization and mission. We must be a missionary Church surely ad intra, and hopefully in God’s time, ad extra. The call of Christianity is to plunge into the deep and become fishers of men. The harvest is rich but the laborers are so few. We need to wake up a sleeping giant in the Archdiocese of Lingayen Dagupan—the laity. Every Christian must be a catechist. Every Christian must evangelize. Every Christian is a missionary. T is for Thanksgiving. This is the middle letter, the focal point, the source and summit of our vision—the Eucharist. In envisioning to become a Eucharistic people, we do not only mean being “liturgy-centered”; we are called to live what the Eucharist celebrates which is to live and die for one another. The Church makes the Eucharist. The Eucharist makes the Church. U is for Unity in diversity. We have diverse linguistic and ethnic groups—Pangasinan, Ilocano and Tagalog and even Chinese tongues. We come from varied economic levels. Our Christian heritage is our source of communion. We all came from an ancestry of heroes like Urduja and Palaris. Our faith and our heritage of heroes in Pangasinan must make us one in spite of our linguistic or ethnic differences. S is for Service, Justice and Charity. We shall promote social service and development. We shall seek justice and liberation for the captives of poverty, loneliness and oppression. At the sunset of life when we shall all be judged according to love, may God find us worthy to sit in His kingdom. My brothers and sisters of the Risen Christ: Are you ready to be ICTHUS again like the first Christians? Let us be ICTHUS! We want to be like Jesus! When the Lord comes again, may he see us and find himself glowing through us! Happy Easter again. I bless you with Easter life essay writing services and Easter joy! 23 March 2010 – Dagupan City. With only few days before the start of the campaign period for local positions, a number of Pangasinan’s political candidates underwent a spiritual recollection and reflection facilitated by Archbishop Socrates B. Villegas, DD. They later promised a peaceful May 2010 Elections by signing a covenant for peace. More than half a hundred of political aspirants vying for local positions (governor, vice governor, congressman, and mayor) pledged to ensure a clean, honest, accurate, meaningful, and peaceful (CHAMP) elections through a peace covenant signing with the Commission on Elections (COMELEC) and Philippine National Police (PNP). The signatories come from different political parties. The signing was held at the Lay Formation Center of the Archdiocese of Lingayen-Dagupan (ALD) in Bonuan Gueset, Dagupan City. The signing of the peace covenant, a spiritual recollection was facilitated by Archbishop Socrates B. Villegas, DD for the local candidates. The candidates were given moments of reflection through slides and sharings by Archbishop Villegas. The Blessed Sacrament was exposed and the candidates were also given time to reflect and pray. In front of the Blessed Sacrament, Archbishop Villegas prayed for and blessed the candidates individually. The holy mass followed the recollection. During his homily, Villegas asked the candidates to assure peace during the campaign period and elections. The prelate opened his homily by saying, “Everyone wants a clean election. Nobody wants a dirty election. Everyone wants a peaceful election. Nobody wants an election with violence.” He further said that he would be praying three things for the candidates: “lakas ng loob”, “ganda ng loob” and “kalooban”. Most Rev. Socrates Villegas, Archbishop of ALD, with Atty. Reddy C. Balarbar, Provincial COMELEC Officer, PC Supt Constante D. Azares, Jr, the Regional Director, PRO1, and PS Supt. Percival G. Barba, Provincial Director of Pangasinan Provincial Police Office (PPO) served as witnesses for the said event. The Recollection, Holy Mass and Peace Covenant Signing was a joint event of Pangasinan PPO, Pangasinan COMELEC and Archdiocesan Social Action Apostolate (ASAP) of ALD. Fr. Oliver E. Mendoza, the Social Action Director of the Archdiocese speaks before the Archbishop and General Azares, the Regional PNP Director, before the covenant signing. More than 50 of the 158 candidates attended the recollection and covenant signing. If the lithium inside the battery comes in contact with water, it can mess you up bad. you can’t professional essay writers buy Lithium -polymer batteries off the shelves in their naked form. 1. All students (pre-elementary, elementary and high school) must receive at least one hundred eighty hours (180 hours) of Religious Education every week using a CBCP approved religious education textbook series. These academic hours allotted for Religious Education are distinct and separate from the Values Education requirements of the Department of Education. The school directors must insure that the teachers for Religious Education are adequately prepared and regularly supervised. 2. All students of our archdiocesan schools—including the non-Catholics–must attend Religious Education classes. The grades in the Religious Education classes must be included in the computation of the general average grade at the end of the school year. A student who fails in any Religious Education subject in the course of the academic year is disqualified from receiving academic honors for that year. 3. Every school must have a First Communion catechetical program for all pupils in Grade II. It is not pastorally sound to delay this sacramental event to a later year as indicated by recent instructions from the Holy See. The schools must also make available a Confirmation Program for all Grade VIpupils. In high school, a special Confirmation Program may be made available for First Year students especially for the transferees. For both events, it is advisable for the students to wear the school uniform in order to avoid added expenses. There should be no additional school fees connected with these sacramental occasions. 4. The School Director must hold monthly adult religious formation sessions for all the teachers in our Catholic schools. The Compendium of the Catechism of the Catholic Church or the Catechism for Filipino Catholics may be used for these sessions. The Superintendent is mandated to monitor the implementation of this catechetical program for teachers. 5. The School Principal is to be directed to schedule the Religious Education classes at the time of the day when students are most attentive and receptive. Religious Education must be given priority quality time. 6. The rosary is to be prayed daily in the classroom at the beginning of the class day. The Angelus at twelve noon and the Divine Mercy Prayer at three o’clock in the afternoon must also be prayed in the school campus during class days. 7. In collaboration with the parish priest, all students and teachers must be able to make a sacramental confession at least once a year. 8. All students and teachers must carry a rosary in the pocket everyday as a devotional practice. 9. All students and teachers must participate in the Sunday Eucharist. The Director, in collaboration with the parish priest must insure that one Mass within the Sunday schedule is identified as a Mass for Catholic school students and teachers. 10. Religious core values must be integrated in the lesson planning for mathematics, science, language, etc. The Church has schools because the Church’s mission primarily is to teach. The world does not listen to teachers anymore but to living witnesses. May every school director, administrator, teacher and pupil in our schools be proofs of the presence of Christ in society. May all our schools become beacons of light showing forth that Christ truly lives among His people. The brethren born and baptized outside the visible communion of the Catholic Church…,have no need to be absolved from excommunication, but after making profession of their faith according to the regulations set down by the local ordinary, they should be admitted to the full communion of the Catholic Church. The Director on Ecumenism makes a clear distinction between those “born and baptized outside the visible communion of the Catholic Church, are those “who thought baptized in the Catholic Church, have publicly and knowingly abjured their faith,” like heretics and apostates. 1) The pastor is to establish, first of all, the validity of baptism. If the baptism of the candidate is found to be valid, then, it should be recognized as such and may not be repeated. A conditional baptism is not permitted unless there is a reasonable doubt about the fact of baptism or its validity (c.869,2). There can be no doubt cast upon the validity of baptism as conferred among separated Christians. It is enough, therefore, to establish the fact that baptism was administered. The same is true of Churches operating in the Philippines whose baptism has been recognized by the Catholic Church as valid. The official baptismal certificates should be enough proof of its validity. As for other Churches or religious groups in the Philippines each case is to be examined individually. 2) The profession of Faith is to be made before one can be admitted to full communion with the Catholic Church. No abjuration of heresy or absolution from excommunication is needed, unlike in cases of heretics and apostates. However, a thorough doctrinal and spiritual preparation of the candidate must precede the rite of admission. I believe in God……..and the life everlasting. Amen. I further believe and confess everything the holy Catholic Church believes, teaches and proclaims as divinely revealed. 3) The reception of the candidate is to be arranged without any great burden or inconvenience to him, in accordance with the proper rite and preferably within the Mass and with Holy Communion. The local bishops have accepted for this purpose the ICEL edition of the Ritual used in USA. Our bishops agreed to ask their priests to introduce gradually some catechesis at the occasion of baptism and marriage. The Roman Catholic Church and the Lutheran Church in the Philippines expressed their mutual recognition and the validity of the Christian baptism administered according to the rites of the respective Churches. Therefore, the baptism is not to be repeated under any circumstances, not even conditionally. The agreement is retroactive. The Bishops’ Conference approved the proposed Agreement on Baptism between the Roman Catholic Church and the Philippine Episcopal Church together with the notation appended to it. By virtue of the Agreement, the Rite of Baptism performed by the two Churches is valid and therefore is not to be repeated even conditionally. The Agreement does not mean that ministers of either Church are, or even can be, authorized to perform the ceremony of baptism for the other, nor can the said Agreement used as a pretext of proselytism. The appended notation to the Agreement makes it clear that the concord of full communion between the Philippine Episcopal Church (PEC) and the Philippine Independent Church (PIC) “neither implies nor affects the union of the PEC and PIC, nor are the two Churches in anyway merged.” Therefore, the present Agreement covers exclusively the relationship between the Roman Catholic Church in the Philippines and the Philippine Episcopal Church. In view of the varying pastoral conditions in the country, even after the signing of the Agreement, a bishop may still decide not to implement it in his diocese. The baptism administered by these Churches is to be considered valid and is not to be repeated even conditionally. The official baptismal certificate should be enough proof of its validity. As of other Churches or religious groups in the Philippines, each case is to be examined individually. The problem of the validity of the baptism administered by the various Aglipayan groups is a particularly difficult one. The main group the Philippine Independent Church (PIC), is juridically and officially the “Iglesia Filipina Independiente”. 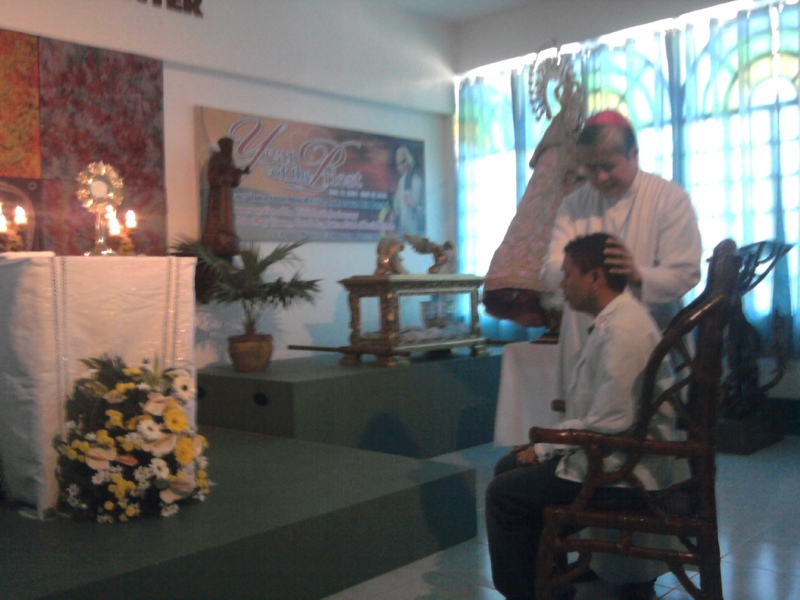 The official Rite of Baptism of “Iglesia Filipina Independiente” is in itself valid. However, the practical implementation of its official baptismal liturgy is not universally certain. Hence, the validity of the baptism administered by all Aglipayan groups, including the Philippine Independent Church, is still to be examined individually. The baptismal certificates, issued within six months, for the purpose of marriage, shall always be required from parties, if they are not baptized in the parish where the investigation is conducted or where the marriage is solemnized. Whenever the baptismal certificate cannot be obtained, a sworn statement according to c.876 will suffice. The ordinary proof of baptism is the one established by the baptismal certificate (c.877) as transcribed from the baptismal register signed by the pastor in charge of the records and, if possible, duly authenticated through the parish seal. A baptismal certificate drawn in this way meets all the requirements of a public ecclesiastical document (c. 1540) and as such affords complete proof of the items directly recorded therein (c. 1541). It is obvious that, under ordinary circumstances, the admission of a person to the sacrament of matrimony is prejudicial to no one and, therefore, the affidavit prescribed by law could be accepted as a substitute for the baptismal certificate. On the contrary, a sworn statement cannot be considered sufficient proof of baptism in a case of declaration of nullity. In this instance someone will be prejudiced thereby. Who are the persons that may be considered trustworthy in bearing witness in such cases? Of course, the minister himself, the sponsors, the parents and close relatives should come first in line. If still none of these persons is available to bear testimony, the pastor himself can draw an affidavit on the basis of these or similar data: the person, whose baptismal certificate cannot be reproduced through the parish records, was born in a place where everyone is baptized Catholic educated in the Catholic religion; he knows the Catholic doctrine and has lived as a Catholic; he still remembers the names of the deceased Catholic sponsors, the church where he was baptized…Whatever the findings, the pastor ought to attest in the affidavit the evidence gathered and the sources thereof. An affidavit drawn up by the pastor in this manner and under such circumstances should, by all means, be regarded as a sufficient proof of baptism. The parish priest should not content himself by merely reporting the loss of official records in the parish. He must make it a point to research and gather all possible evidence on the case. 1) The full name of the natural parents shall not be entered in the baptismal records of the parish, but shall be forwarded to the secret archives of the chancery, to be released only upon approval of the local ordinary and for a serious reason. The pastor of the place where the baptism is celebrated must carefully and promptly enter in the baptismal book the names of the baptized, the minister, the parents, the sponsors, witnesses, if any, the place and date of baptism and of birth (c. 877,1). The recording of baptisms of illegitimate and adopted children presents a special problem when it comes to the insertion of the natural parents’ names. Even in such cases, the recording should be as complete as possible but protecting the reputation of the parents. In case of an adopted child, the names of the natural parents may be recorded or kept confidential in accordance with civil law and the norms issued by the local Bishop. Bishop CESARE MARIE GUERRERO was born in Ermita, Manila on January 26, 1885 and received priestly ordination on October 28, 1914. He was consecrated bishop on May 24, 1929. He was Bishop of Lingayen from May 24, 1929 until December 16, 1937. He died on March 28, 1961 as Bishop of San Fernando in Pampanga. Archbishop MARIANO MADRIAGA was born in Agoo, La Union on May 5, 1902 and received priestly ordination on March 15, 1930. He was consecrated bishop on May 24, 1938 for the Diocese of Lingayen. It was during his tenure that this ecclesiastical jurisdiction was renamed Diocese of Lingayen Dagupan on February 11, 1954. When the diocese was elevated to the rank of a metropolitan archdiocese, he became the first Metropolitan Archbishop on February 16, 1963. He was the Archbishop of Lingayen Dagupan until February 7, 1973. He died in Agoo on November 1, 1981. Archbishop FEDERICO G. LIMON, SVD was born in Mangaldan, Pangasinan on October 3, 1915 and received priestly ordination on May 14, 1942 for the Society of the Divine Word. He was consecrated bishop on February 13, 1972 and became Archbishop of Lingayen Dagupan from February 7, 1973 until July 15, 1991. He died on June 13, 1996 in Dagupan City. Archbishop OSCAR V. CRUZ was born on November 17, 1934 in Balanga, Bataan and received priestly ordination on February 10, 1962. He was consecrated bishop on May 3, 1976. He was the Archbishop of Lingayen Dagupan from July 15, 1991 until September 8, 2009. Archbishop SOCRATES B. VILLEGAS was born in Manila on September 28, 1960 and received priestly ordination on October 5, 1985. He was consecrated bishop on August 31, 2001. 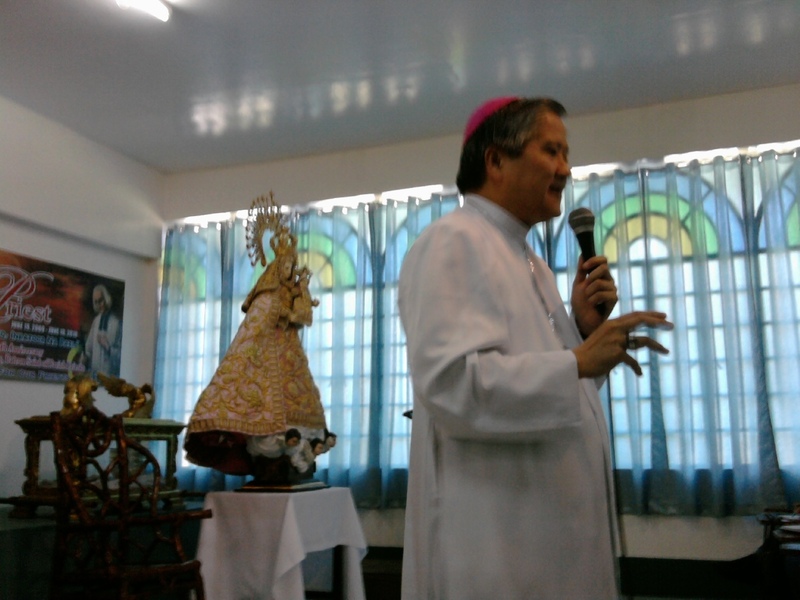 He was appointed Archbishop of Lingayen Dagupan on September 8, 2009.